The Rev. 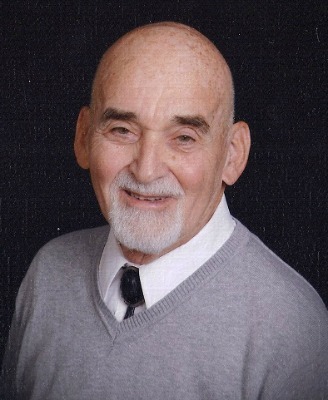 Dr. Robert E.(Bob) Reiff died on July 12 at Homestead Village, Lancaster. Born in Royersford, PA, on Aug. 11, 1931 the second son of Harry and Edith Engel Reiff. Bob graduated from Boyertown High School, Heidelberg University, Tiffin, OH, The Theological Seminary, Lancaster, and received his Doctor of Ministry degree from Andover Newton Seminary, Mass. Bob served UCC Churches in Pennsylvania South East Conference and four years in the Mission field in Japan with wife, Betty. They celebrated 63 years of marriage in June. He was preceded in death by his parents and brother, Harry. Surviving besides his wife, Betty H. Yoder Reiff are children, Deborah A. Rieman (John), Robert B. (Valorie) and Paul E. (Melissa) and grand children, Katie A. Reiff, Dylan and Courtney Smith and Christina Oplinger. Bob loved music; singing, listening, directing church choirs. He enjoyed reading, walking, talking, laughing and greeting people by name. In retirement Bob and Betty volunteered in many activities together and Bob served on many Councils and committees. Bob donated his body to the Humanity Gift Registry. He continues to give. A Celebration of Life will be held at Church of the Apostles UCC on Sept. 8 at 11:00 am. Please omit flowers. Memorial contributions may be made to Heifer International or Habitat for Humanity. This world has not lost a truly remarkable man. He lives in all of us who had the extreme pleasure of having known him. We graduated together in 1949 from Boyertown High School. I have always remembered Dr. Bob as a man I would consider one of the few magnificent men I have ever known, and a man I would like to be. Many great times together are forever etched in my memory. May he rest in the peace of Christ. Bob was a great guy and we had many good times and discussions together in Tucson. What we’ll miss here is Heaven’s gain. Uncle Bob was an incredibly warmhearted and genuine man. We were so very blessed to be in his family. He has truly made this world a better place by sharing his fun-loving, gentle and caring nature with those he touched. We wish to share with everyone the awesome times we had with Bob and Betty here in Arizona. The great dinners and thoughtful discussions on all kinds of subjects. Laughing at his jokes, oh man. Bob was so respectful of everyone’s points of view. We will miss being able to talk with Bob and will always treasure the time we spent together. With much love, and sympathy to Bob’s family and fellow friends. Phyllis and I will truly miss Bob We were able to spend time with he and Betty in Tucson and Lancaster those times were precious . Betty you will continue to be in our prayers. He always greeted you with a smile and a giant hug. His kindness, love, and generosity was infectious. Always supportive to everyone around him without judgement or expectation. Bob lived his life in the service of others; taking nothing but always giving. Humbled, cultured, educated, and benevolent – he was a true role model to which we should all strive. We are proud and honored to have Bob as a part of our family. Bob, you will be truly missed and will always remain in our thoughts and prayers. We are here for you Betty if you need anything.